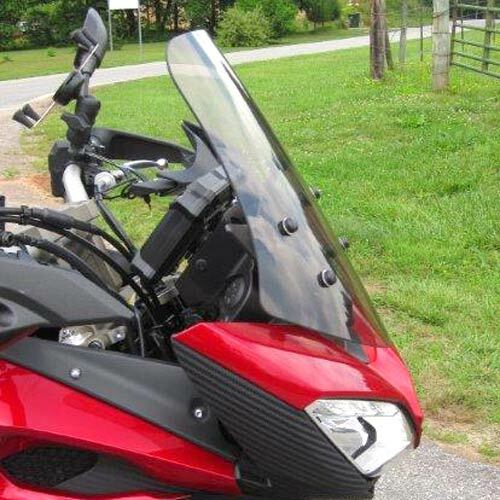 The Parabellum Flyscreen for the new Yamaha FJ-09 is the perfect option for those wanting a more attractive, race inspired look while still seeking wind protection. 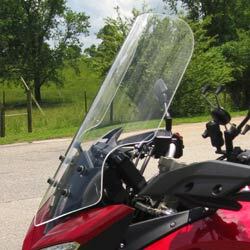 The wider than stock base of the Parabellum screen keeps turbulent wind off of the riders’s chest while keeping their head in clean undisturbed air. The fly screen is 16 inches in length and made of military aircraft grade cast acrylic with a maximum width of 13.5 inches and a top width of 8.5 inches. 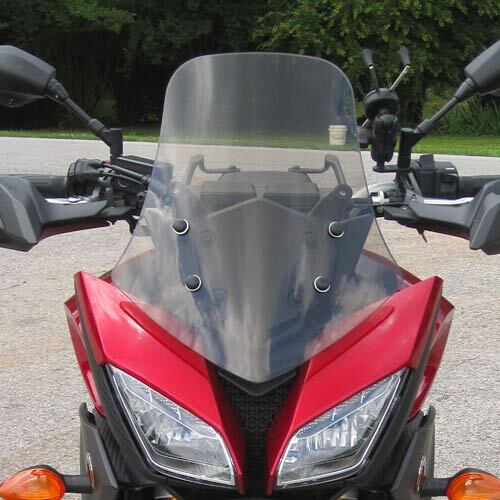 Couple this summer flyscreen with a Parabellum Touring shield and have all your favorite types of riding covered. The windshields are easily changed in under 10 minutes. Whether you are on a coast to coast trip or riding your favorite twisty roads, we have the perfect shield for you.